Ssh'Rik is an ancient city of Lizard Kings, a desert subrace of Lizardfolk. It has been around for as long as most desert races can remember. 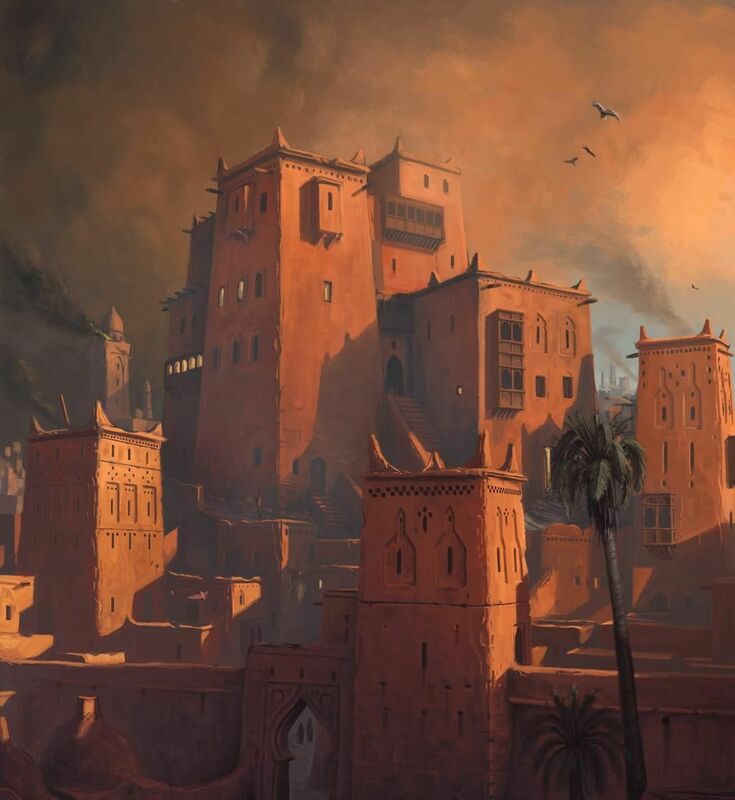 The buildings of the city are made from sun-dried bricks which glow reddish-yellow in intense heat. The buildings held by the nobility and royalty tend to be built much higher and on sturdier foundations. The most unique structure is the mighty ziggurat called the Sun's Eye which dwarfs Ssh'Rik's other buildings. The government of Ssh'Rik is a officially a monarchy, but more practically a despotism as its dominant Chaotic Evil population makes it difficult to enforce order. The populace of Ssh'Rik is highly xenophobic of other races, often attacking them on sight and distrustful of other lizardfolk races. Worship here is almost exclusively devoted to Semuanya, Lizardfolk Deity of Survival and Propagation. However, a small but growing portion has begun the worship of the Demon Lord, Sess'Innek. Sun's Eye - Towering Ziggurat which holds the Sun Diamond weapon and is the palace of the Royalty. 1 Altharid's Coronation 01-14-2012 A Group of adventurerers visited Ssh'Rik at the behest of Ivar Heavychain. 2 The Lizard Kings 01-17-2012 A group of adventurers returned to Ssh'Rik to complete their mission, Sirion deposed of Sakatha and became the new monarch.